This bathroom upgrade only took four days to complete, but really changed the look of the room. The existing tan bathroom was replaced with a bright white marble wall tile with striking accents. You can see from the before and after images below how much brighter the room is after the renovation. 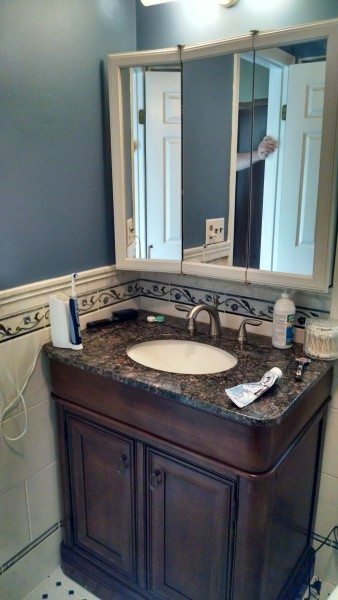 We installed a new vanity with dark wood, rounded edges and granite top. The new vanity and faucet warms up the room and provides a contrast to the light wall tile. 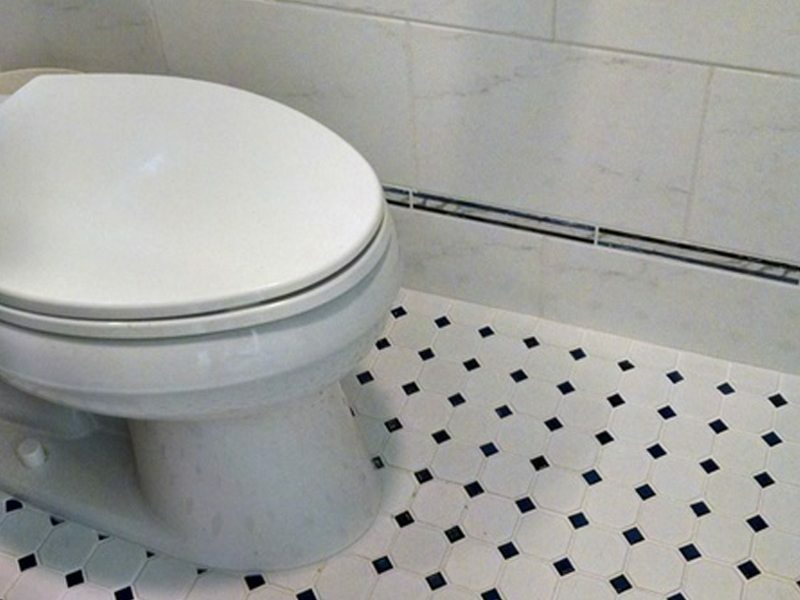 After removing the vanity, toilet and existing floor tile, we started by laying down the new tile floor. Once the floor tile was installed, we began work on the wall tile. 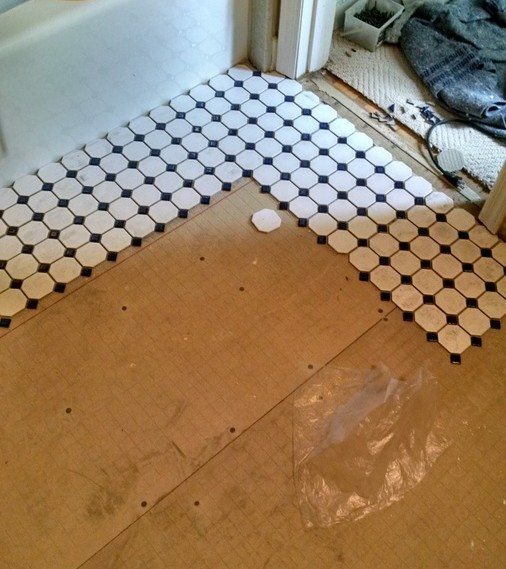 Before installing, we laid out the pattern. 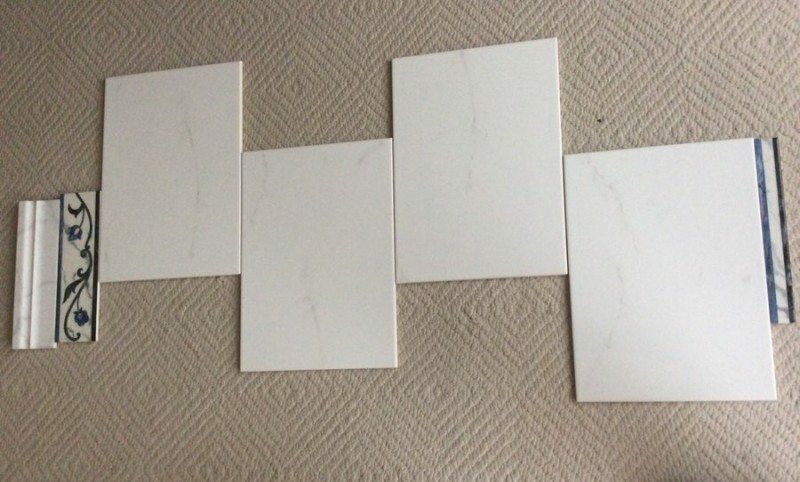 Marble tile shows the natural variations in the stone. We pulled out any tiles that did not match the look or pattern of the other tiles for a more consistent look. 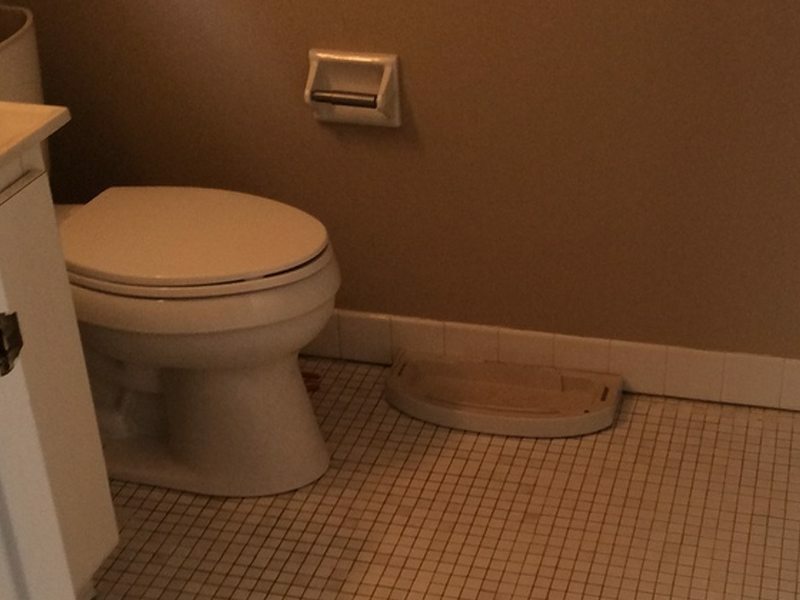 Once all the tile was installed, the new vanity, faucet and toilet were installed. Our painters completed the project by adding a complementary blue to the walls. More Projects: bathroom renovation or this bathroom remodel in Florham Park.